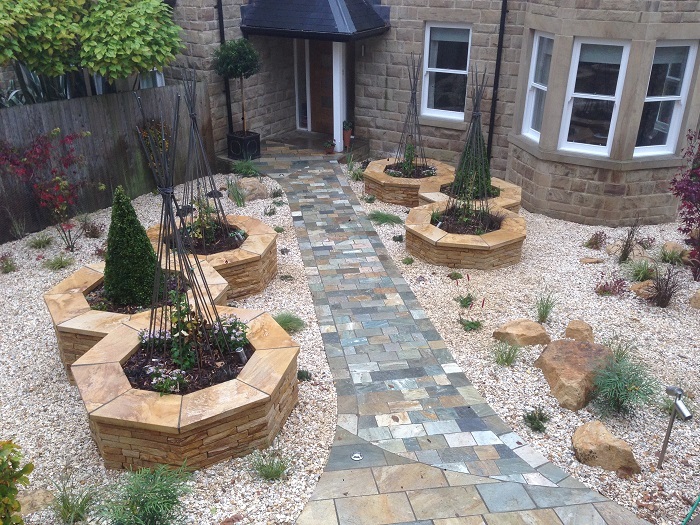 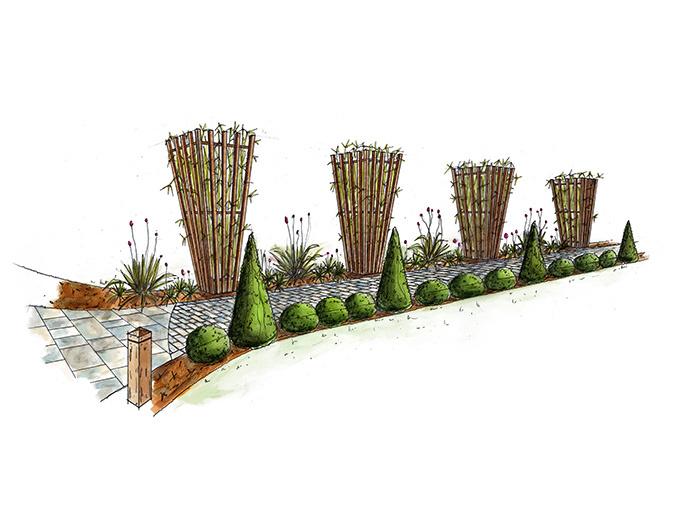 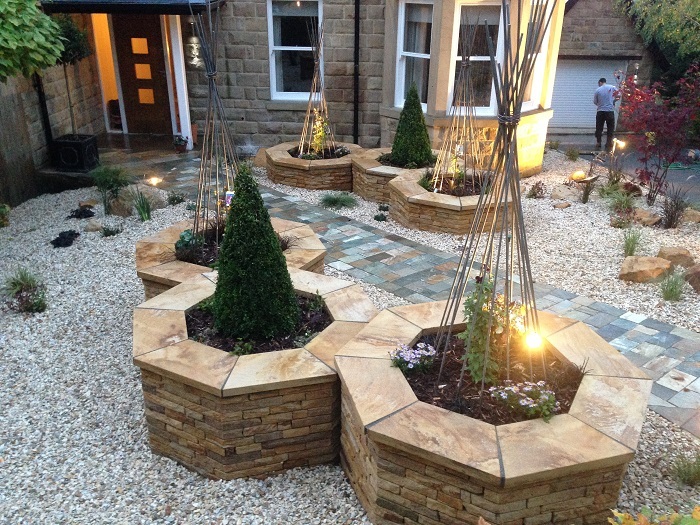 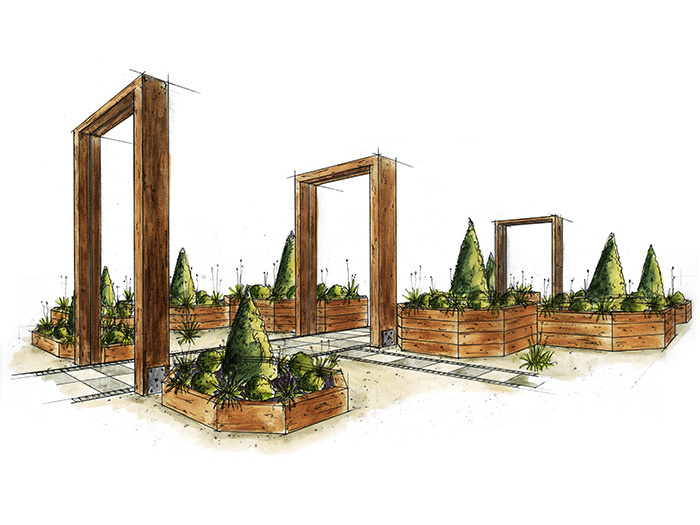 Octagonal stone planters, custom made obelisks, rustic quartz paving, York cream gravel, marine grade stainless steel dual pot and Way marker lights, combined and finished with a top spec planting scheme. 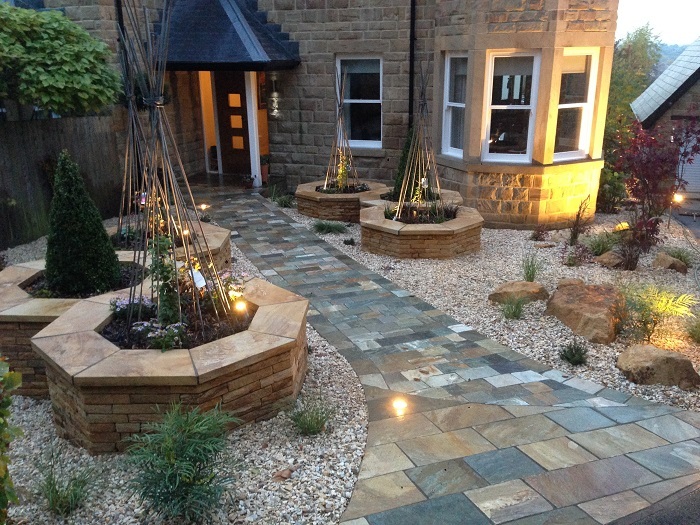 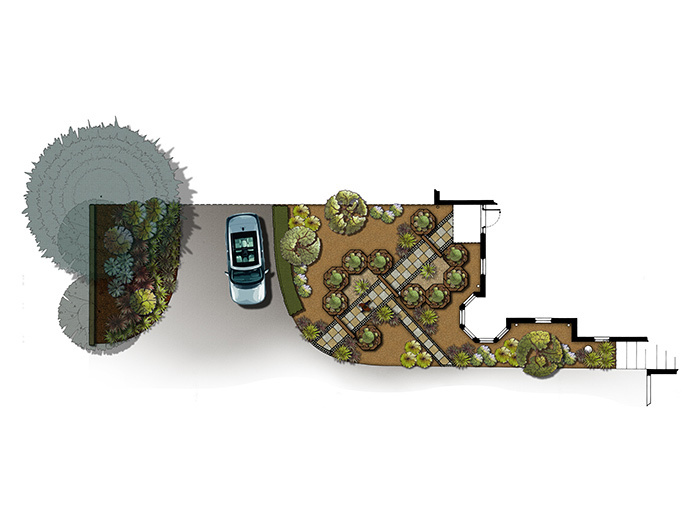 A unique build with attention to detail and quality throughout resulting in an impressive front garden / grand entrance. 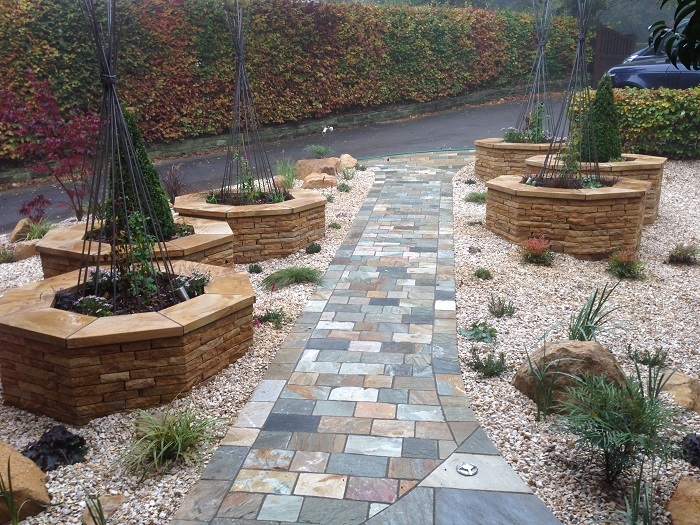 Stone supplied by Mone Bros and metal work supplied by Applied Metal Technology.